So Sarah Palin says she has the "fire in my belly" to make a run for president in 2012. That's funny, because I also get a sensation in my belly at the thought of Palin as president, though I somehow doubt it's the same as hers. Actually, bring it, Sarah; a Palin campaign would be a carnival like few we've seen in recent presidential election years. How fun it would be to hear what she says next. There'd be thrills and chills and spills. You wouldn't be able to look away, while the "Palin for President" show tours the country, the star speaking to us from the back of its caboose. At least a snake oil salesman has snake oil to cure whatever ails you. Palin is all talk and no solutions. Her snake oil seems to be nothing more than placebo. She says she wants to "preserve what is good for America." Imagine, a kid from Livonia, my hometown, growing up to be president! No, not talking about me. My political aspirations don't even extend to school board. I'm talking about Thad McCotter, the Republican House member who is, according to reports, putting together exploratory committees and other things that would-be presidential candidates do about eight months before the primaries. McCotter plays electric guitar, quotes from Led Zeppelin lyrics, and is in his fifth two-year Congressional term. He would be the first president born after me, which should either make me feel old or wise. McCotter plans to formally make his announcement in two weeks, according to POLITICO. Never mind that Thad would be a virtual unknown, because if there ever was a time to enter the fray as an unknown Republican, it's now. 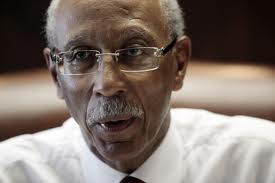 Dave Bing reminds me of the beleaguered high school teacher who is all fired up about his subject, but his students just stare at him, glassy-eyed, not knowing what to make of him, and certainly not jazzed up to share his enthusiasm---even if what the teacher is imparting is invaluable to their well-being. Bing, the mayor of Detroit, seems, on many occasions, to be the only one miffed at what's going on around him. His populace suffers from social inertia. When, oh when, will the city's residents stand up and scream that they're not going to take it anymore? Not going to stand for the corruption and the violence and the misuse of their hard-earned tax dollars? Not going to put up with lousy city services and response times from emergency vehicles and the police that are obscene? The latest malfeasance is the misuse of funds at the Human Services Department, in which about $200,000 that was earmarked for helping the poor instead went to furniture purchases. Already, Newt Gingrich is being described by some in the media as the "embattled" GOP presidential candidate. And this is some 18 months before the election. It gets worse for Newt, as some are going even further, and changing the word "embattled" to "former." Newt's fledgling candidacy seems to have the aerodynamics of a lead balloon. The razor-tongued Gingrich has been praised by supporters for his "honesty" and refusal to pull punches. Looks like that punching bag just snapped back and caught Newt square in the jaw. Gingrich has been an equal opportunity offender of the right, cutting a swath from Rush Limbaugh to Paul Ryan and many people in between. Newt is becoming an island of one. The matter of desiring the release of photographs showing a very dead Osama bin Laden has absolutely nothing to do with a thirst for morbidness or a sick desire to see such graphic images. At least, not through these eyes. 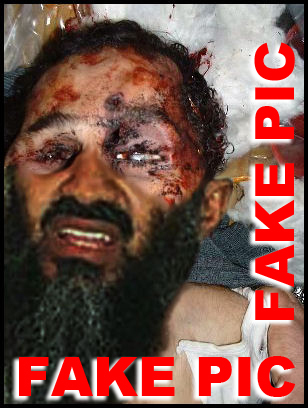 President Obama steadfastly made the decision not to release the graphic photos to satisfy those seeking proof that bin Laden has, indeed, been eliminated. He told CBS' "60 Minutes" in an interview that will air on Sunday that the decision was fairly easy for him to make. "Spiking the football" has been the term used to describe what releasing the photos would be, in allegory. The fear is that releasing such images would put Americans in danger, globally. There are other reasons, too---including that we "don't do that kind of thing." The words in quotes are not the president's, but rather an overall feeling that many pundits have demonstrated over the past few days. I'm tired of being told how to act, how to behave. When I say "I", I mean "we". Confused yet? I'm talking about the spontaneous displays of celebration that popped up across the country on Sunday night in the wake of the news of the death of master terrorist Osama bin Laden. Bin Laden's death was the first good news that the United States has had, collectively, in my lifetime. I wasn't around for V-J Day or V-E Day, which marked the end of WWII. What else that has occurred over the past five decades has been such cause for elation? Man on the moon in 1969? Perhaps, but we were more enthralled than we were ecstatic. The hostages being released from Iran in 1981? That happiness was muted by the fact that we were a little red-faced for having had our citizens in the clutches of the Ayatollah Khomeini for as long as he had them. That was more relief than giddiness.